Nel-Tech offers cutting edge digital audio playback that is capable of producing 24 hours of playback. Their Messager USB has flash-drive compatability making it easy to manage and upload custom messages. It takes care of your every messaging and advertising need whether it is in-store or over the telephone! 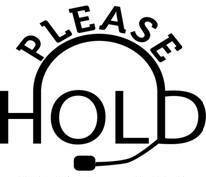 No one likes to be placed on hold... this can easily be changed with on-hold music. Through U.S. Communications music services, your business can play music over the phone through any DMX or PlayNetwork music receiver. The technologies of U.S. Communications also allows your business to target callers by implementing pre-recorded marketing messages over the phone. This method of advertising ensures that the audience is listening. ​The goal of most marketing schemes is to portray a message that is catchy and most likely to capture the attention of the intended audience. This very important step in marketing is only part of the puzzle when it comes to producing an effective marketing plan. The other half of the puzzle is accomplished by finding the right media for the message. Many marketing campaigns fail due to the fact that the message is not heard by the target audience. U.S. Communications can solve your media problems by reaching out to both potential and existing customers. Through innovative communication technology, we can provide advertisement for on-site locations such as in your store. Also, we can provide similar advertisement for call-in customers that are placed on hold. These media methods for advertisement allow your brand or business to resonate in the minds of customers while they shop, making your business goals possible.